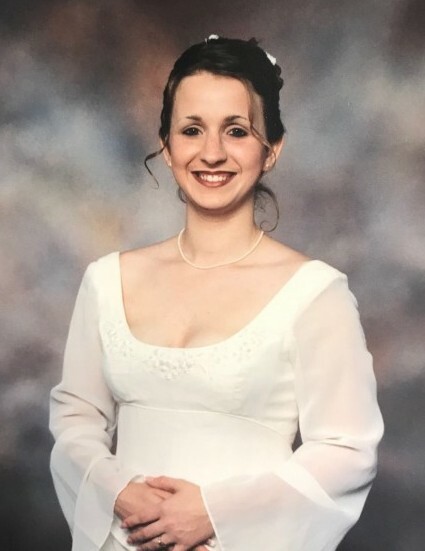 PEACHLAND – Mrs. Sabrina Marie Thompson Mulllis, 39, peacefully went to be with her Lord on Monday, January 21, 2019 while in the care of Hospice of Union County at the McWhorter House in Monroe. There will be a service to celebrate her life at 11:00am Saturday, January 26, 2019 at Peachland Baptist Church with Rev. Phillip Parrish and Rev. Jerome Cash officiating. 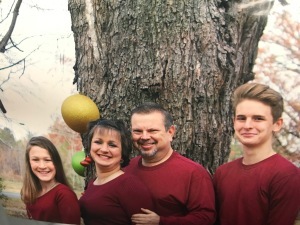 The family will greet friends from 5:00pm until 8:00pm Friday, January 25, 2019 at Leavitt Funeral Home and other times at the home. Sabrina was born July 21, 1979 in Jacksonville, FL and was a daughter of Lonnie Lee Thompson and Carolyn Marie Gore Thompson. She was a graduate of University High School in Orlando, FL and had worked as the Jewelry Department Manager at Walmart in Wadesboro. She was a very devoted mother and was very involved in the school system as an ardent supporter of her children’s school sports teams and as a substitute teacher and proctor. She especially loved soccer and coached Parks and Recreation Soccer for several years and was instrumental in helping bring Boys Varsity Soccer to Anson High School. She was also a Cub Scout Den Master and established the Peachland Girl Scout Troop. She was a member of Peachland Baptist Church and exemplified a strong faith in God as she battled colorectal cancer valiantly. She indeed fought the good fight and finished her course triumphantly. While going through chemotherapy, Sabrina felt a calling to encourage others going through the same battle. It was then she began making Brinky’s Bags, a bag filled with small gifts to encourage others battling cancer and going through chemotherapy. Her Brinky’s Bags touched many lives and she had heard from patients from as far away as California. It is her family’s desire to continue her good work. Surviving are her husband, Randy Mullis; her children, Nathan Lee Fulks and Callie Marie Thompson both of Peachland; her parents, Lonnie and Carol Thompson of Peachland; her sister, April Bishop of Monroe; her nephew and niece, Michael Bishop of Murrell’s Inlet, SC and MaKayla Bishop of Monroe; her maternal grandmother, Janis Gore of Crosville, TN; her brothers-in-law, Barry (Val) Mullis of Lilesville, Vernon (Revonda) Mullis of Mt. Gilead and Charles (Mary Jane Barrow) Mullis of Stoneville; and her extended family of aunts, uncles, cousins and dear friends. For the loving support from family, friends, Peachland Baptist Church family and Hospice of Union County our family will be eternally grateful. In lieu of flowers, the family requests memorials be made to Brinky’s Bags, c/o Peachland Baptist Church, P.O. Box 146, Peachland, NC 28133.